Holds letters, documents, and files. Fits A4 and letter-size papers. Arched design for convenient file access. 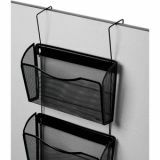 Rolodex Three-Pack Wire Mesh Wall Files, Letter, Three Pockets, Black - Mesh Wall File Three-Pack features a modern arched design that allows easy access to files. 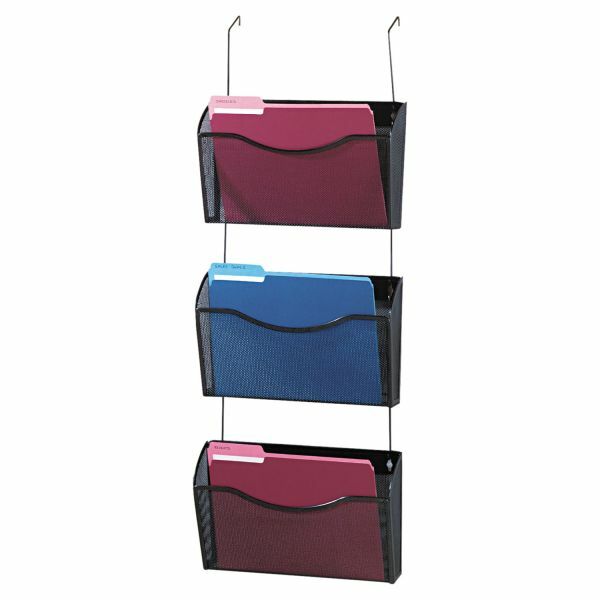 Holds documents and folders up to 13-1/2 wide. 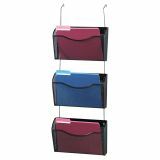 Wall files hang easily on partitions up to 2-7/8" thick with included hanger system. Made of steel. Unique rolled mesh criss-crossed design gives your work space a curb appeal all its own." Mounts easily in any workspace.